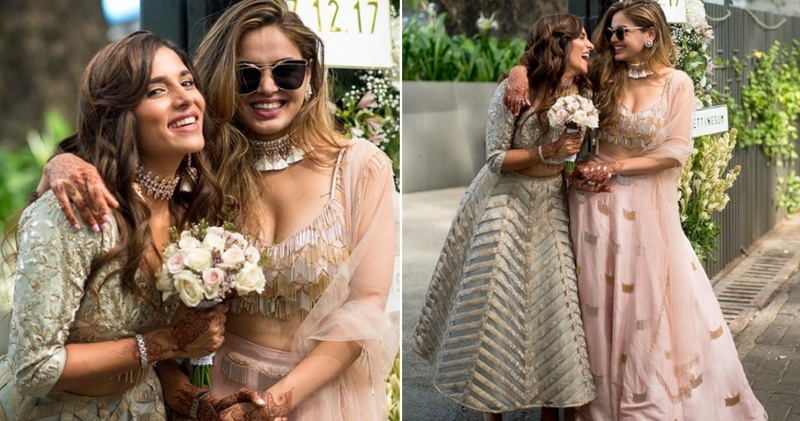 Summiyya Patni’s pastel themed wedding is all the inspo a summer bride-to-be needs! Mitali Sagar and Summiyya Patni (Mi-Su) have always given us major inspiration, be it fashion, beauty or BFF goals. So, when Summaiya Patni decided to get married, it didn’t come as a surprise that her wedding was full of inspiration. In love with this cinderella-esque pair of glass slippers from Berleigh. All of these gorgeous designs are from Payal Singhal. What could be more romantic than featuring soft pastel colours in your wedding flowers? Totally adore them! To sum it up, her wedding is all the inspo that you need if you are a summer bride-to-be!